PHILADELPHIA (WPVI) -- An alleged serial bank robber is being sought in Philadelphia. The suspect, identified as 43-year-old Kenneth Reyes, allegedly robbed the Philadelphia Federal Credit Union on the 2100 block of East Dauphin Street. 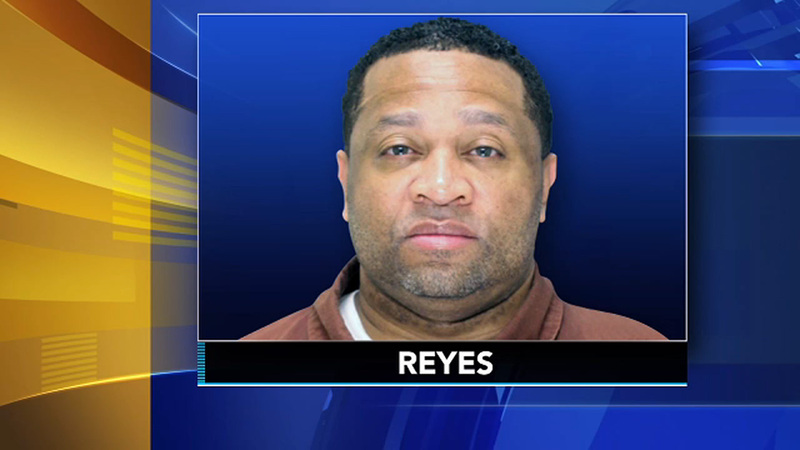 Investigators say Reyes was also responsible for three other hold-ups last month: two of them in Philadelphia and one in Wynnewood, Montgomery County. Police say Reyes is considered armed and dangerous. He is 5'7" tall, medium to husky build, and has green eyes; he was last known to reside on the 5800 block of Malvern Avenue in Philadelphia's Overbrook section. Anyone with information on Reyes or his whereabouts is asked to contact the FBI/Philadelphia Police Violent Crimes Task Force at 215-418-4000. There is a reward for information leading to Reyes' capture.